Every week, baking expert Alice Medrich will be going rogue on Food52 -- with shortcuts, hacks, and game-changing recipes. Today: For the safety of your chocolate, bring your hair dryer out of the bathroom and into the kitchen. For melting chocolate, I’m on record as preferring the water bath, but others opt for a double boiler and some use amicrowave. Any way you do it, you must avoid contact with moisture and excessive heat. Milk and white chocolates are the trickiest. New cooks are often daunted…experienced cooks find it a chore. Here’s another way that’s clean, quick, and safe, with no water baths, double boilers, microwaves, or stove tops involved. Make sure your hands, cutting board, knife, spatula, and bowl are completely dry. 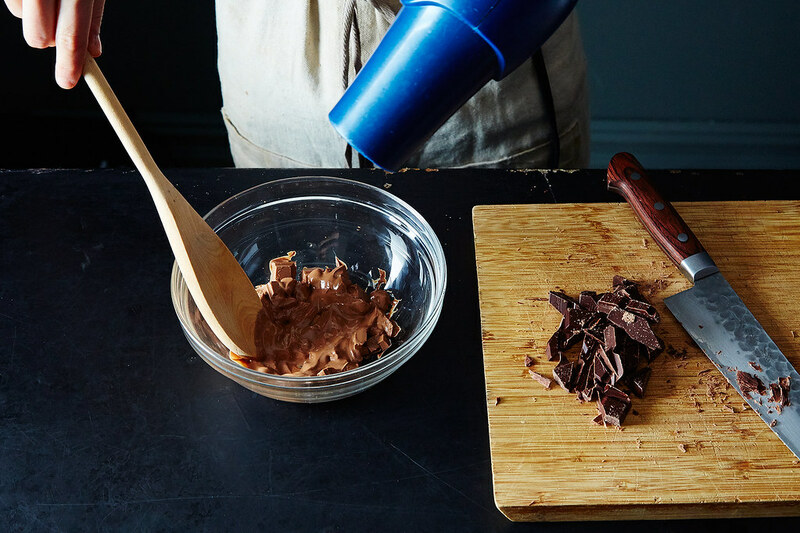 Chop or break the chocolate into pieces -- no need to chop finely -- and put them in the bowl. Hold a hair dryer 8 to 10 inches from the chocolate, pointing it straight down into the bowl. Turn it on and move it around to warm the chocolate, stirring from time to time, until the chocolate is melted and smooth. I don’t think more needs to be said. Couldn’t be easier. P.S. 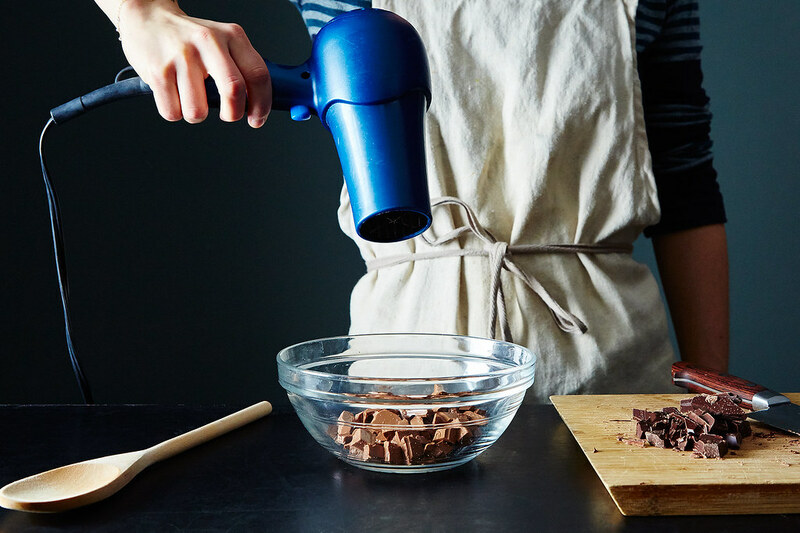 This is terrific way to melt chocolate in a dorm room.